Kuroko’s Basketball has ended, so here’s a review on the anime. With 75 fantastic episode, this has indeed become an anime for other anime’s to follow. 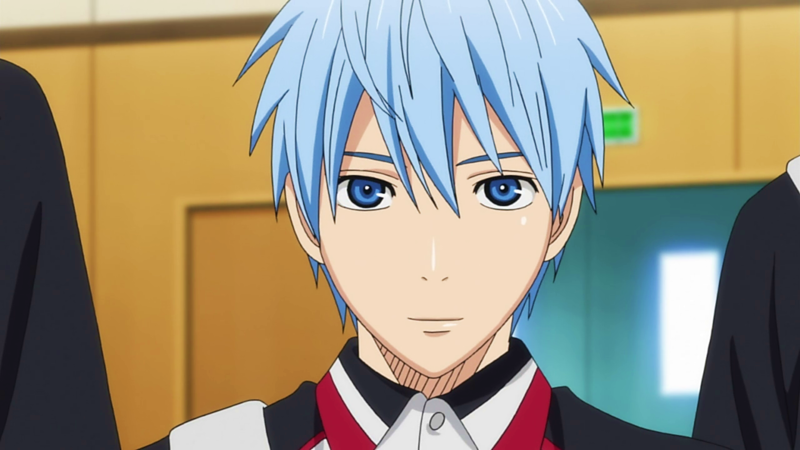 The story begins with Kuroko Tetsuya joining Seirin High School along with Taiga Kagami, a student from america. Both are attracted to the basketball team where they meet for the first time. Kuroko is quickly tagged as being from the Teiko Middle School Basketball Team where legendary Basketball team was born. Tagged the “The Generation of Miracles”, they won every game and quickly became know for their individual abilities and strengths. After Kuroko plays his first game for Seirin, they quickly realise that he’s nothing more than just really bland at basketball. Once they play their first game, they quickly realise that he’s undetectable for the way he plays as well as being really quick at passing. He doesn’t shoot, or dribble, only pass which allows him to keep his presence low whilst playing. As they gain momentum, they’re faced by members of the previous Teiko Team, they lose some and win some. Overall, they’re faced by the strong opponents, but each way they grow stronger and stronger to beat even the strongest of opponents, Akashi Seijuro. To begin Kuroko’s Basketball review, I’d like to begin with a small criticism by mentioning that the anime itself is quite unrealistic, being a Shonen based show, it’s full of unrealistic jumps, passes, blocks and even sometimes dunks. The martial arts part of the show comes in when some members enter zones, or become amazingly strong that no one else can win. Nevertheless, the basis of why this show is great is the fact that at every moment, it is very entertaining to watch, the unrealistic bits and bobs from this show add to the greatness, we always like a protagonist who can do extraordinary things and beat extreme odds and win. This is seen here with endless odds, seeing as Kuroko is always moving and dashing to pass, it’s quite possible that a ghostly player like him can exist. Overall the anime is very funny, has some great character and some epic and awesome scenes which you can’t say no to. 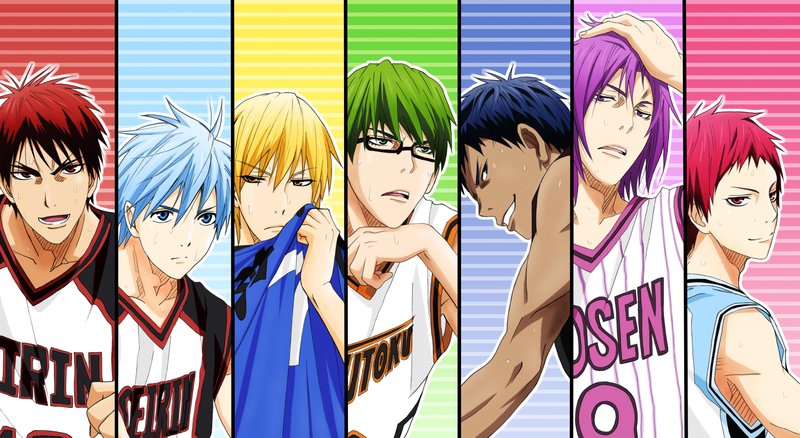 On top of it all, we’ve got 5 different set of opponents for Kuroko to beat and show them how a real team plays. The anime itself boasts the classic story where they have a tournament, whereby Kuroko’s Seirin has to win against them and become number 1. The anime does well in introducing and covering character stories and background, while making sufficient progress throughout the anime for each game. The design and animation for the show is personally above average, they’ve done a good job of covering basketball scenes with enough action to aid in its entertainment. There are some times where things are repeated, but that’s just a nitpick. The music and sound used to enhance the games are truly awesome, while the game is one, 20 seconds left on the timer, the game slows down while only a three pointer is left to win the game against the opponents. The anime does well enough to show something miraculous happen to show the ever-lucky Seirin players that they’re the top. Overall I found this anime great, I loved it so much that it even got up me and running to buy a basketball and play regular basketball with a few friends. 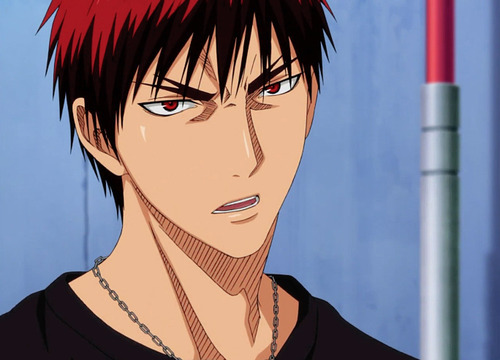 I didn’t realise how hard it was being Kagami, or Tetsuya for that matter. Nevertheless, It’s time to rate the show. Have you watched Kuroko’s Basketball? If so go ahead and tell me what you thought about the anime and the ending, which happened only a few days ago. Use the comment section below telling me what you thought. Hahah I’ve heard of Prince of Tennis so many times now, I started Baby Steps some time ago, just need to marathon through it. I’ve got quite a few animes on my list right now, on top of which Haikyuu second season is next for me in terms of sports anime. Haha ball magnet, I just need a hoop in my garden and I’m sorted, I won’t need to go the park as often. Nevertheless, I’ll put PoT on my list and keep a look out for it whenever I get time. Also for a 75 episode anime, this series in indeed one that you’ll enjoy, it has a number of shojo like aspects where characters just power up and can do abnormal things out of nowhere. You’ll love it. If you like basketball , you should watch Slam Dunk . Its an awesome anime . I’ve also heard of that one, I will surely have a look at it. 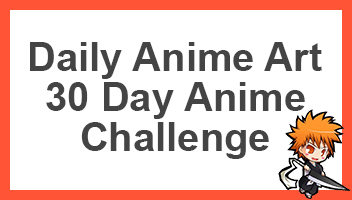 How long is that anime? How many episodes, I mean. Haha seems like your hooked!its probably one of my favourite sports anime, right now I’m watching Haikyuu which is just as good in my opinion. I think you should check it.